Bread Machines – Should you buy one? This is a question that most people ask themselves as soon as they see a friend or family member with a bread machine. Is a bread machine really a good investment? According to our experience at Easy Kitchen Appliances, the answer is yes! You’ll be amazed at how many things a bread machine can do for you – besides baking bread. Yes, you read that right – baking bread is not the only thing it can do. It can help you with a variety of other things that you would usually require a lot of other kitchen appliances to be used. Well, you’ve heard the final answer to the question, but now it’s time you hear the reasons as well. Hang on tight to your dough – as we’ve said, it’s more to a bread machine than just bread. Read this article for the Best Rated Bread Machines! What Can a Bread Machine Replace in Your Household? We’ll start with the simple things – specifically, what other purposes a bread machine can fulfill besides making bread for you. As a bread machine can knead, mix, rise and bake bread, it can easily replace some of the most common kitchen appliances. Remember that once you put the ingredients inside the machine’s container, it’s not mandatory that they are kept in there and baked into bread – of course not. You can use your new bread machine as an oven – obviously – but as a hand and stand mixer as well. Furthermore, almost every bread machine has two little nifty settings that will be of great help when trying to surprise your family. Those two are dough and cake. Yes, of course, you can make a cake with your bread machine, and even jam and Japanese foods. Feeling amazed yet? When it comes to the dough setting, it basically means that you can use the bread machine to process the dough up to the point of fermentation. It’s just perfect for when you want to make a pizza and don’t want to go through the hassle of making the dough by hand. But not only pizza: cookies, pies, and cakes as well. Should you buy a bread machine? If you want to save space in your kitchen, or just don’t have enough space for all the kitchenware required for some recipes that involve dough making and baking – yes, yes you should! If you’re not yet convinced, wait, there’s more! Why Make Bread When I Can Buy It? You’ve probably asked yourself that question just out of pure curiosity – because we all know we live in a world where food found in stores contains an absurd amount of unhealthy substances. Even bread falls into the category of processed foods that can eventually make you sick. Sugar, sweeteners and generally a lot of preservatives are added even in the daily bread. We are basically not safe anymore – fake flavors and unhealthy ways of making food are at every step. Most, if not all, of the extra ingredients that are used by bread producers, increase one’s chance of developing heart diseases – and that’s simply outrageous. If you decide to buy a bread machine, not only that you will avoid all of the preservatives found in the bread that’s in the stores, but you’ll also be able to choose your ingredients entirely. You can opt for fully natural bread – gluten-free bread sold in stores is quite expensive, and you can’t know if that’s actually natural or even gluten-free sometimes. When it comes to your health and ways to improve its overall condition, we think that a good start is by changing how we make something that some of us eat every single day – the bread. We have mentioned that it’s not all about the bread if we speak about the strong points of a bread machine. But we eat it every day; therefore, we should make sure that at least this type of food is healthy. Of course, you also have the chance to say yes to that extra slice of cake, as you are now sure of the fact that it is natural – since it will be made in your household and not bought from somewhere else. 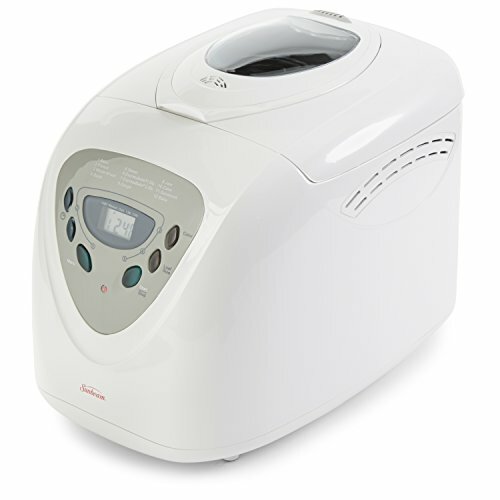 Healthwise, a bread machine is a great addition to your kitchen – and it’s not even that expensive. Even if we are in the age of technology, having the possibility to cook and bake something healthy should still be on our priorities list. So far, we have pointed out two of the most important things that you can experience if you decide to buy a bread machine. But there are even more! Something to really take into account is the fact that you’ll have fresh bread whenever you want. This is something you can’t have if you’re buying bread from the store – there are times when you might find out that the bread you bought is not even fresh. Therefore, some extra points to bread machines because they offer freshness – in a loaf, of course. Read this article for the Best Value Bread Makers! Then, we have the lack of mess and dirty kitchen tools. Making bread by hand can sometimes lead to a very dirty kitchen – with flour everywhere around the space you worked in. This and the fact that you have to clean it after have probably made you buy bread instead of baking it. But now, you don’t have to worry about making a mess anymore. The only thing you will have to wash if you bake bread in a bread machine will be the container in which all of the action will take place. No big deal, right? Now, as a final reason that strengthens the “yes” given as an answer to the question that is in the title of this article – bread machines are extremely user-friendly. They make bread baking so much easier. You don’t have to sit by the oven and check its content every 10 minutes or so. You can just let the machine do its job – and at your return in the kitchen, you’ll be greeted by a fresh and tasty loaf of bread. How much are Bread Machines? Bread machines can be affordable! If you’re looking for a high end appliance that practically does everything for you, you can find that. 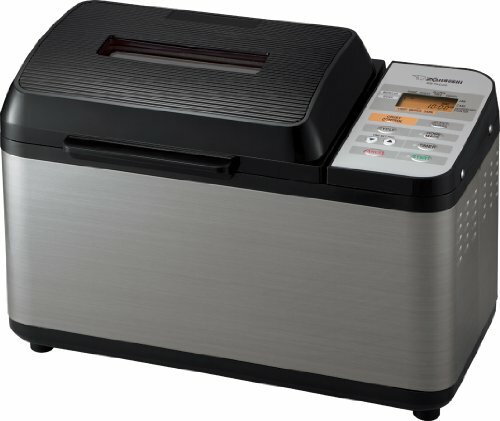 However, if you’re looking for a basic bread machine under $100 that will last a long time and bake great bread, you can also do that. Below are two ends of the spectrum. The first is one of the most expensive bread machines and the other is one of the most inexpensive bread machines. So, yes – for health, time, space and utility – you should buy a bread machine.